Compilations such as this are widely regarded these days as little more than a way of pushing the catalogue via a cheapo introduction. 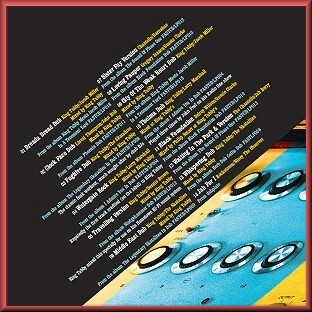 Motion Dub Special, however, steps back to those long-ago days when the Trojan label’s Tighten Up and Club Reggae series were avidly awaited new releases in their own right and not just a plug for a bunch of stuff you’d never buy otherwise. In other words, it’s one of those rare collections that you’ll find yourself returning to whether or not you own the rest of the catalogue. Record labels know that anything with King Tubby’s name on it has a chance of selling, but all too often the results are disappointing. Happily, this album is the genuine article, and essential listening for anyone with an appreciation of authentic Jamaican dub – a sub-genre that inspired comparisons with psychedelic rock and jazz back in the early seventies, when most of these tracks were recorded. Tubby could unleash demonic forces via the mixing-board, and tracks here like Dreada Dread Dub and City of the Weak Heart Dub, Linval Thompson’s Clock Face Dub, and Travelling Version, prove this without even the flicker of a doubt or apology. 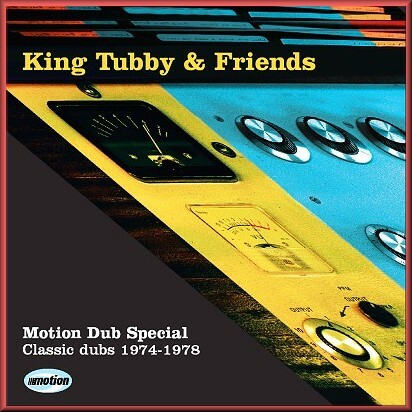 In essence, King Tubby & Friends is a sampler for Motion Records catalogue of seventies reggae. Anything bearing the Motion logo is therefore worth investigating, but it’s here you’ll find the choicest dub tracks in their entire armoury. The Motion Dub Special is available now from all normal outlets and on download sites.